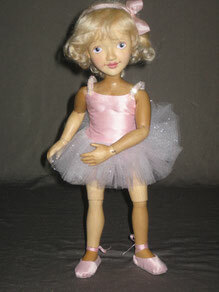 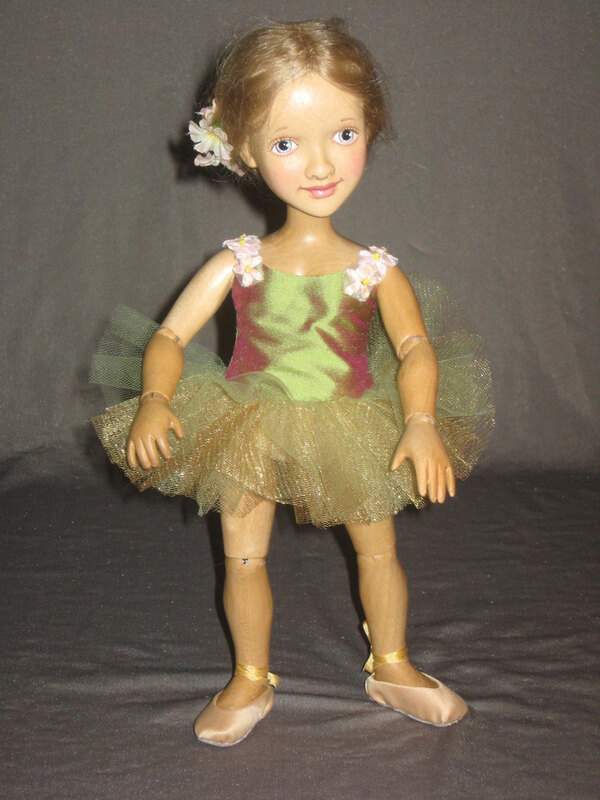 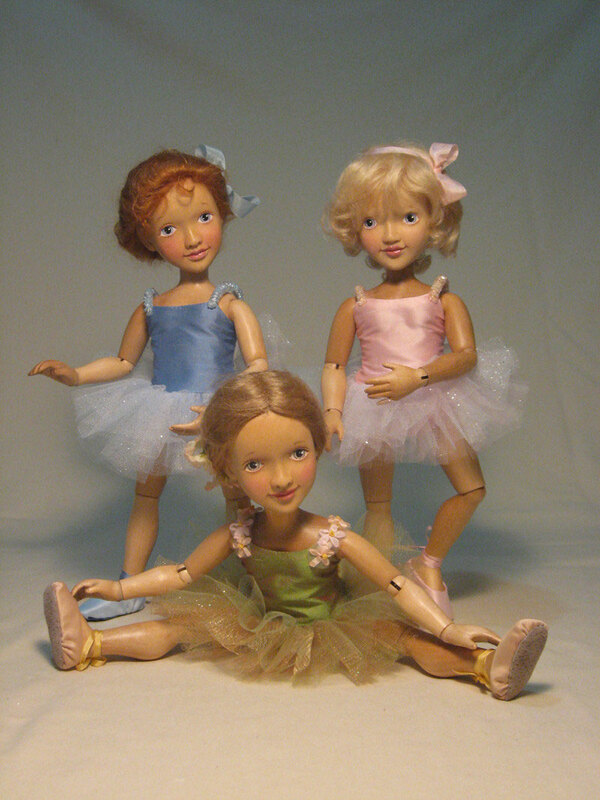 Ballerina Friends, Gina, Tina and Ella are three 12 inch, fully articulated dolls created from Canadian Maple Wood. They each feature 13 movable ball and spring joints. They can easily be arranged in any number of wonderful poses. 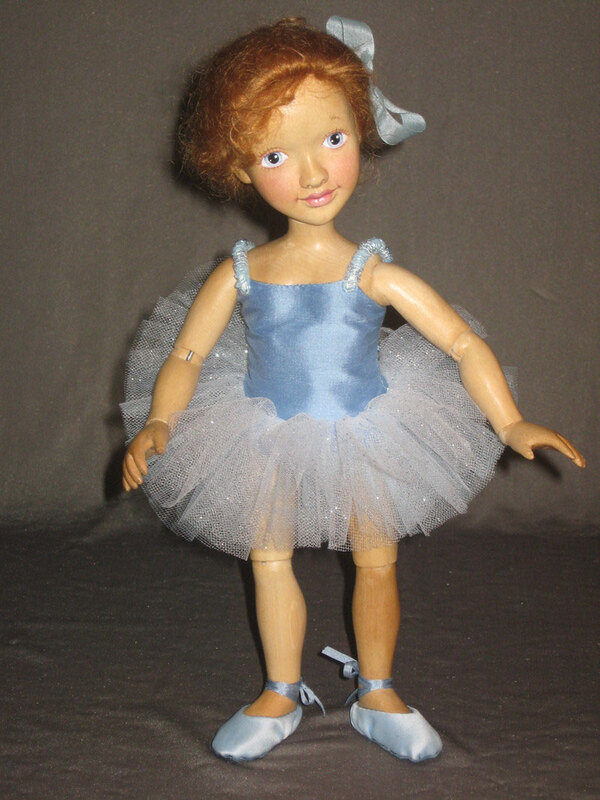 Each doll has a hand carved face which has also been hand painted in light soft washes to give the appearance of a little girl. The dolls are dressed in beautiful ballet costumes with matching slippers.